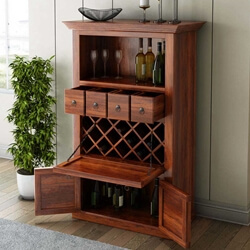 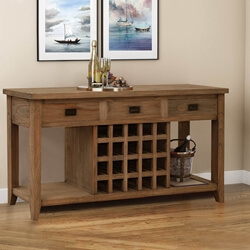 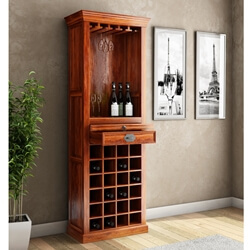 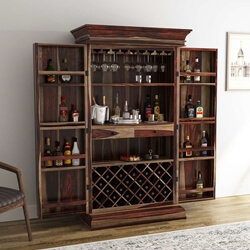 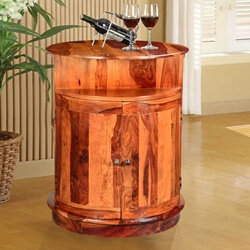 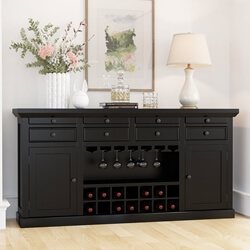 Let us help you entertain, relax, and celebrate life in style with one of the best solid hardwood, handmade wine storage and bar cabinets. 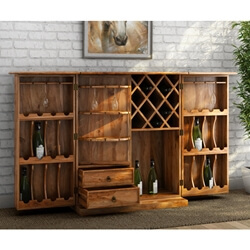 We offer over 125 exciting choices in all shapes and sizes. 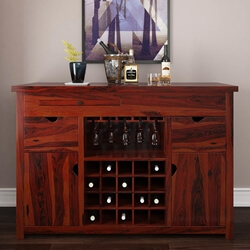 Our wall wine racks and wall storage units allow you to display and store spirits with easy and convenient access. 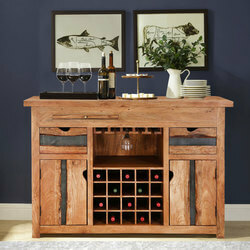 Our freestanding bar consoles are the right height for serving and gathering. 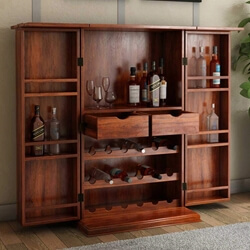 Fine wine and spirits deserve a place of their own no matter the size of your collection. 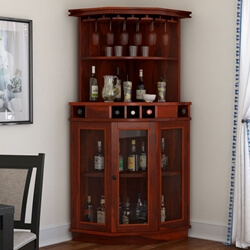 Our small wine cabinets fit neatly into corners or narrow spaces. 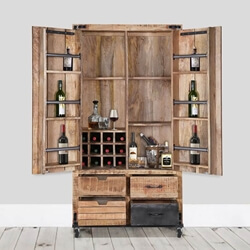 Our service bar cabinets are built to stand away from the wall so you can serve and be served from the front and the back. 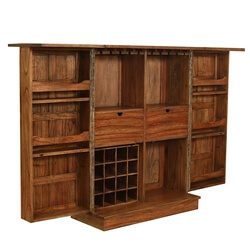 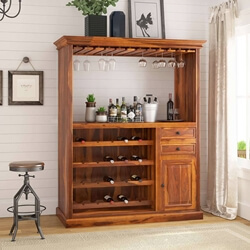 Our large liquor and wine wall units offer lots of storage for all your entertaining needs. 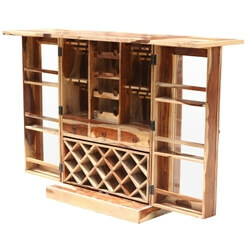 Don’t miss our table top wine racks and portable folding wine tables. 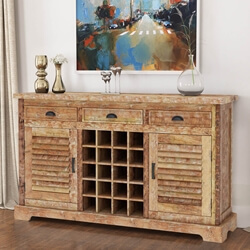 Treat your whimsical side to playful shapes and designs including bottle storage shaped like boats, giant bottles, tractor, wine barrels, and wagon. 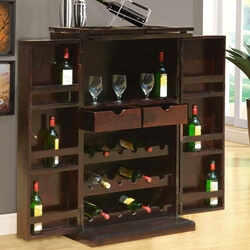 We also offer several rolling bottle cabinets so you can move with your party. 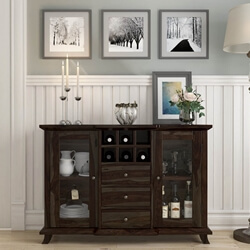 Choose a style and color that blends with your interior design. 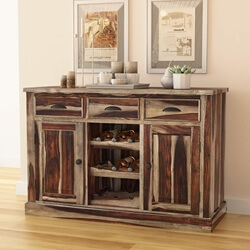 Our rustic collections include Appalachian Rustic, Oklahoma Farmhouse, Dallas Western, and Pioneer Rustic. 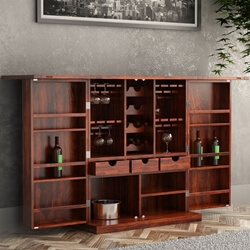 If you prefer classic styles consider our Parisian Cafe, Nottingham, Lincoln Study, Mission, and Shaker wine cabinets. 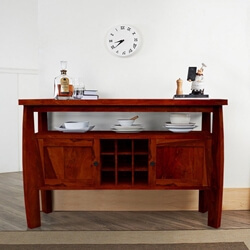 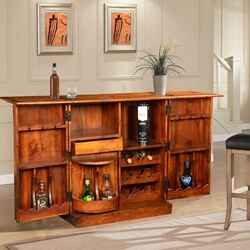 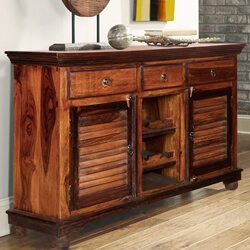 Our Industrial, Retro and Contemporary bar cabinets have a fresh, new style. 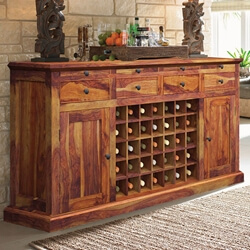 Many of our bar cabinets have unique elements including top, bottom, side drawers, hang glass racks, open and closed cupboards, and fold down counters. 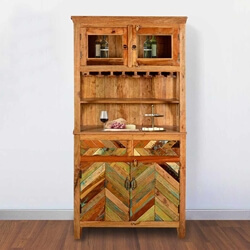 Raise your Glass to Handmade Excellence. 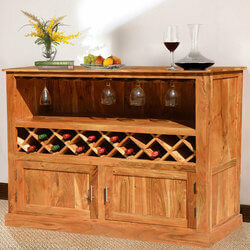 All of our wine cabinets and entertainment bars are handcrafted. 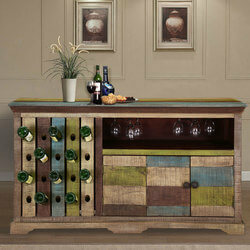 Many of them feature hand-carved and hand painted details. 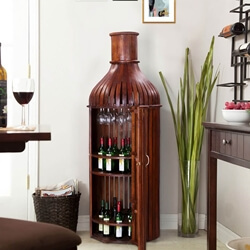 If you need a specific size or shade, just ask. 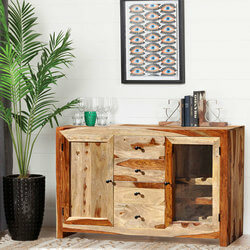 We offer custom made furniture.